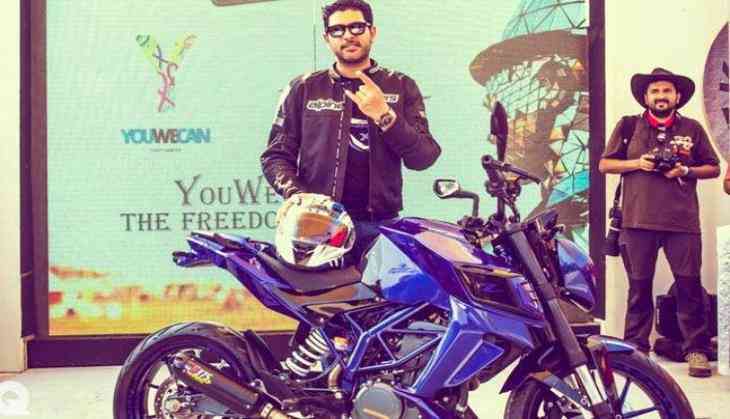 In a stern warning to India's explosive batsman, Yuvraj Singh is not allowed to ride bikes as her mother Shabnam Singh will not let him to do so. Despite his love for the bikes, the player is not allowed to ride a bike, but Singh has the collection of cars and he often rides them. According to the reports of Economic Times, Yuvraj told that his mother has taken oath to not allow him to ride any bike. Yuvraj was quoted as saying, "I am not allowed to ride them. My mom has taken an oath, ‘The day you ride a bike, I will leave the house.’ To keep her in the house, I do not ride a bike." "I love driving all cars. I have a Mercedes, an Audi, a BMW. Two cars were given to me when I hit six sixes. My favourite car is a Mercedes, which is my mom’s car," the southpaw added.